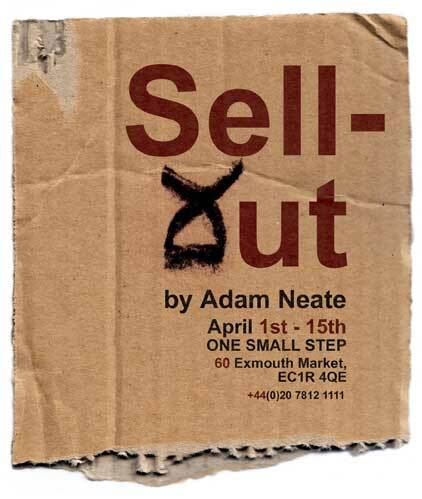 On Saturday 1st April visitors are invited to One small step to view Adam Neate paint live in the gallery. A two-week exhibition period will follow. 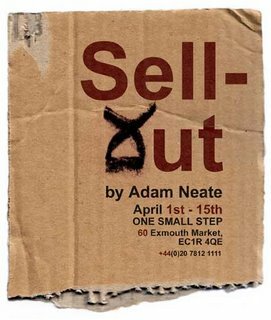 SELL OUT aims to confront the divide between graffiti and the contemporary art scene, issues facing street artists who want to move into galleries, and whether or not by doing this exhibition, Neate is selling out. Adam Neate is famous in the East end of London for leaving thousands of paintings on the streets for passers by to claim as their own. It is this action, unique to Neate that started other international events. Adam Neate will paint continuously in the gallery on Saturday 1st April this will be combined with DJ’s and drinks throughout. The event will be filmed by cameraman Ben Todd.